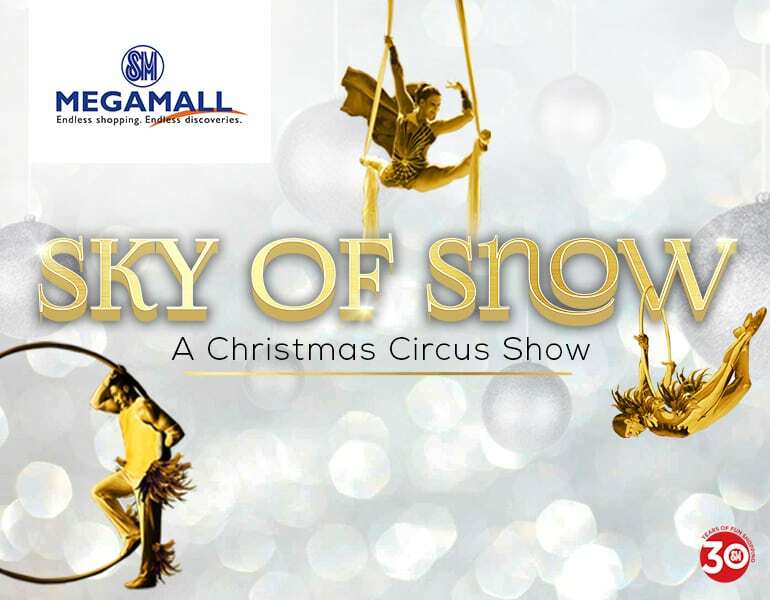 November 4, 2016 – SM Megamall officially opened the yuletide season with “Sky of Snow: A Christmas Circus Show” as they turned into a whimsical winter wonderland. Everyone felt magic with polar bears, ring and aerial dancers, wild snow cats and fairytale characters all throughout the show. International cirque performers paraded their costumes first before soaring, flying and gliding around. After the circus performers hit their final pose, SM Megamall finally lighted the giant Christmas tree centerpiece. All of these were executed by Eventscape Manila.